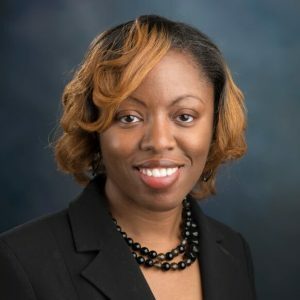 Joy L. Woodson is assistant director of marketing and communications for the Center for State and Local Finance, where she is responsible for PR and media relations, external communications and marketing efforts. She also provides PR marketing and communications support for the Fiscal Research Center. Previously, she served in roles as editor and reporter at various media outlets, including AOL/Patch, The (S.C.) State and the Los Angeles Times, among others. She is a Georgia State University alumna, having received her master’s degree in public administration from the Andrew Young School of Policy Studies. Woodson also received her bachelor of journalism degree from the University of Missouri – Columbia, and she is currently pursuing an MBA in marketing from Georgia State University’s Robinson College of Business.